The Millington is a Wiley Brothers original and is made from the highest quality vegetable tanned leather and locally cast brass and white bronze. It is a fresh and bold interpretation of the ever useful and much needed dress belt. 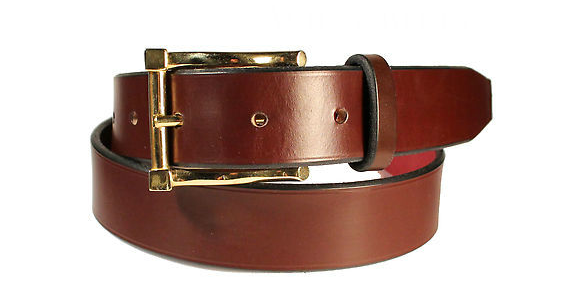 This belt is offered in three buckle sizes, with coordinating straps sized at 1 inch , 1 ¼ inch and 1 ½ inches wide. The Millington belt is finished to the same exacting standards as the rest of our belts while the buckle honors the wearer with a slight curve which terminates into a bold aesthetic statement reminiscent of an architectural element giving the overall look a subtle formality.